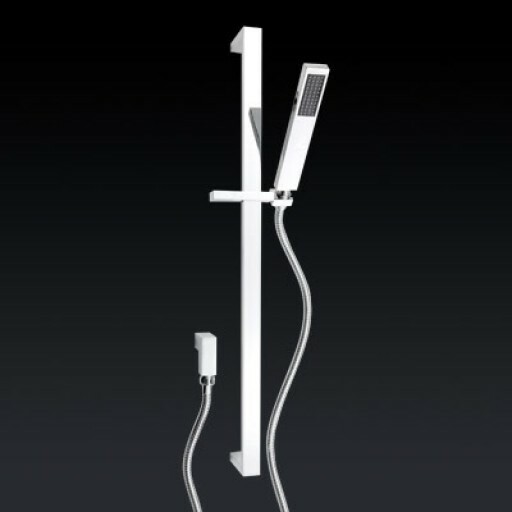 Combining maximum versatility with Italian-inspired design sophistication, Abey Rail showers let you enjoy a fully height-adjustable fixed shower or hand shower, to perfectly match the individual needs of family members and guests. Combining maximum versatility with Italian-inspired design sophistication, Abey Rail showers let you enjoy a fully height-adjustable fixed shower or hand shower, to perfectly match the individual needs of family members and guests (especially budding lead singers!). Offering a wide variety of 3 Star showerheads, including Abey's innovative Tri Flow model, the sleek chrome Abey Rail range delivers the perfect blend of form and function to any shower environment.